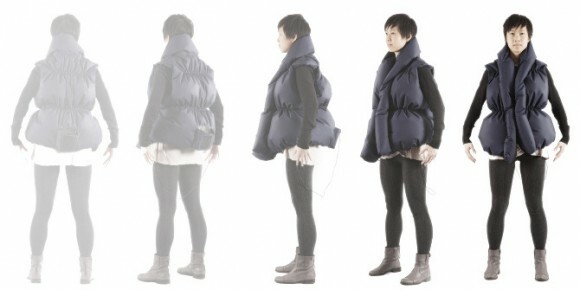 A smart yet puerile effort has been made by the students of MIT for inventing Like-A-Hug Jacket intended for the Facebook freaks who can sense every time someone “Likes” anything that they have recently posted via this jacket. The jacket mainly gives a sensation of a hug to the person wearing the jacket, letting him know about the likeness of people on Facebook around him. Along with free hugs, you will get a fashionable jacket which tends to wisp up as a response of the like made by your friend. Not only it generates a hugging response, but also you can acknowledge the like by sending another like to your friend via pushing downwards on the jacket to shrink it. This is an amazing thing for the Facebook users however, it may have some silly aspects that make the concept a bit bogus. According to most of the technical analysts, there is no point of implementing such system as people still love to see their likes and comments live on Facebook. An invention of something like that can make the people impassive and can diminish the theme of being social among the old friends and relatives. However, the invention can make sense if it is implemented generally for all the social networking websites including the famous Twitter. On the whole, while the technology advancements have brought up amazing changes for people, implementation of such free-hugging jackets, is somehow creating emotional distances between inter-personal relationships turning the masses into human come robots.